First Batch Rian 5 Rob Luang Phor Plien Wat Aranyawiwake BE2536. Nur Thongdeang. It won No1 Placing in Thailand Chiangmai Grand Amulet Competition on 20th August 2017. 1st blessing ceremony by Luang Phor Waen Wat Doimaepang. 2nd blessing ceremony by Luang Phor Sim Wat ThamPhaPong for 3 months during Taimak in BE2517. 3rd blessing ceremony held in Wat Tham Pak Piang. Attached with Silver Waterproof casing. First batch Toe Moo Luangta Mahaboowa Wat PaaBarnTat BE2547. Back with Phra Sivali. Herb material with jeevorn at the back. Made 540 pieces only. Pidta Yant Yung Luang Phor Cher Wat KlangBangKaew BE2549. Nur Loha Pasom. Made during LP’s 81 years old birthday. It comes with original temple box. First Batch Rian PhraPhut Luang Phor Unnlar Wat PaaKaewChunPhon BE2549. Nur Ngern, made 273 pieces only. It won No4 Placing in Thailand Nonthaburi Grand Amulet Competition on 12th May 2013. It comes with G-Pra Authentic Certificate. Attached with Gold Waterproof casing. First batch Phra Chaiwat Luang Phor Plien Wat Aranyawiwake BE2540. Nur nawa. It comes with original temple box. First batch Phra Kring Luang Phor Prasit Wat PaaMooMai BE2550. Nur Thonglerng. Material included Metal Leftover when making big Bucha, Handwritten yant plate from LuangTa Mahaboowa Wat PaaBarnTat, Phra Kring chanted by Kruba Inn, Metal material chanted from Wat Chedi Luang and Wat DoiSuthep, Metal material chanted by Luang Phor Plien, Luang Phor Prasit, Luang Phor Koon and other 40 monks. There are more than hundred metal material mixed in this batch of amulet. Luang Phor Prasit gathered and bring the material and chanted 5 times with other monks before the metal material is melted. 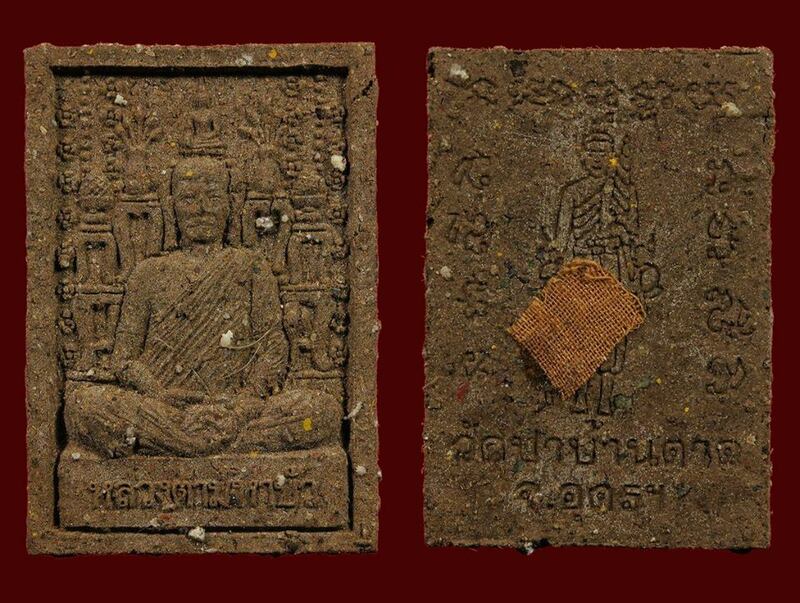 Luang Phor Prasit personally blessed 3 times for this batch of amulet before it released from temple. Attached with LP’s jeevorn & rice from his bart sticked at the front of the Phra Kring. It comes with original temple box. First Batch Rian Tok Hak Luang Phor Thong Wat Sampaocher BE2529. Nur Thongdeang.